What makes up the Boulder Public Library budget? The Boulder Public Library annual budget is funded by multiple sources within the city’s financial structure. The majority of General Fund revenues are a combination of sales and use tax, property tax, and fees collected in Boulder. Library department revenues include grants, such as the $250,000 annual grant from the Boulder Library Foundation to support library programs, proceeds from the library book shop, book sales, and patron printing and copying. Eighty-five percent of the library budget is funded by General Fund revenues, which are a combination of sales and use tax, property tax, and fees collected in Boulder. Any person who purchases a taxable product that is picked up or delivered inside the Boulder city limits helps support the library. City of Boulder residential and commercial property owners also support the library through their General Fund property taxes and the 0.3333 mill of city property tax dedicated to the library. Any person who purchases products within Boulder city limits but has them delivered to an address outside the city does not pay city sales tax. Any person who purchases products online and has them delivered to an address outside the city does not pay city sales tax. What are the Libary’s funding needs? 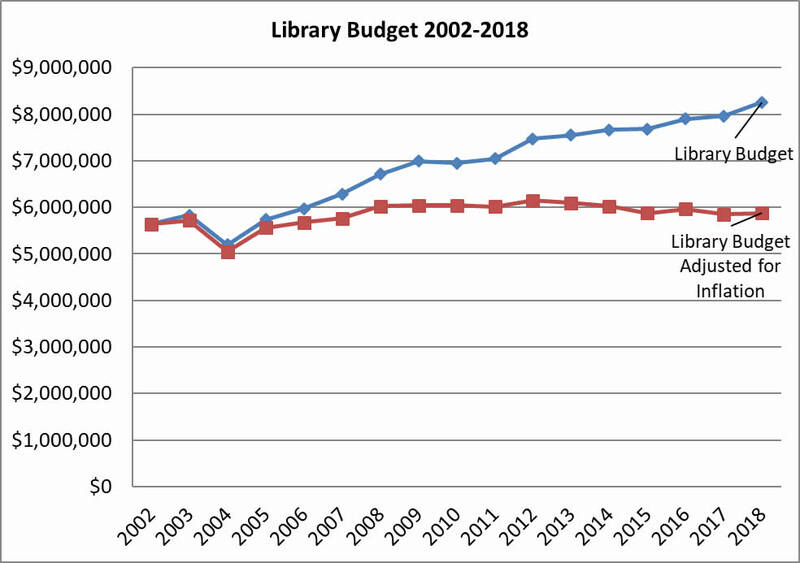 The Library has operated without a substantial increase in operating funding since 2002 when compared to the budget adjusted for inflation during that same period. One of the primary goals of the 2018 Boulder Public Library Master Plan is to obtain secure, stable, and adequate funding for the library. Initial funding needs for the master plan service levels were reviewed by City Council in July 2018. Council requested a balanced and impartial analysis of library funding needs and options for funding each master plan service level. The analysis presented to Council in November 2018 showed that funding the master plan goals would be a significant investment, estimated as an increase of between $3.3 million to $6.1 million in annual operating funding depending on the service level desired. The City Council approved 2019 library budget is $9.7 million ($8.9 million for operating and $800,000 for capital expenditures) which will fund the Maintain Service Level master plan goals except for a few modest one-time capital projects for the Main Library. What are the master plan service levels? The 2018 Boulder Public Library Master Plan goals are categorized into three service levels. Add staff, operating and maintenance budget to maintain current service levels. Incremental funding of the facilities maintenance backlog. unaccomplished 2007 Library Master Plan vision plan goals. Open a North Boulder (NoBo) branch library. 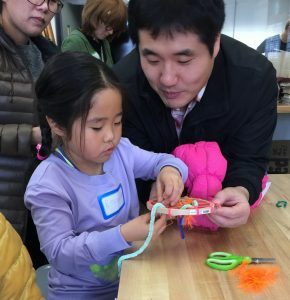 Expand youth programs at branch libraries. Hire additional staff system-wide to meet demand. Primary goal: Based upon community input, expand services and implement new programs. Open a Gunbarrel corner library. Add staff for a Gunbarrel corner library and system-wide outreach programs. Pilot a Canyon Theater activation program. What options are available for continued municipal library funding? There are three options to fund Boulder Public Library as a municipal library. Reallocate funds from the current city budget, which may result in reducing funds for other city programs and services. Request voter approval to dedicate an additional increment of sales or property tax to the library. What other funding options are available to voters? Another option to increase funding dedicated to the library is through the formation of an independent library district. The district may include the city of Boulder, Boulder Valley, and adjacent mountain communities. The purpose of a library district is to share expenses among residents within its geographic boundary. A library district budget would be funded by property tax revenues paid by business and residential owners of property within the district. Approximately one-third of Boulder Public Library cardholders reside outside of Boulder city limits. How does an independent library district work? A library district is a political subdivision of the state, created by one or more governmental entities and funded by dedicated property tax revenues. Voters within the district boundaries must approve any new or increased tax to fund the library district. The library district would be governed by a Board of Trustees appointed by the establishing governmental entities. How will the city know if the public supports increased funding for the library? In Spring 2019, The Center for Research and Public Policy, a qualified polling firm hired by the city through a competitive bid process, will conduct a statistically valid telephone poll and online survey about options for long-term sustainable funding for the Boulder Public Library. The results of the poll should indicate the level of community support for increased library funding through the available options that City Council will consider. Dedicating more city funds to the library through a voter-approved sales or property tax increase. Reallocating city General Fund resources and dedicating some or all of them to the library. Forming an independent library district funded by property tax collected within district boundaries. voters in November 2019. Per Colorado law, no new taxes will be implemented without public approval.